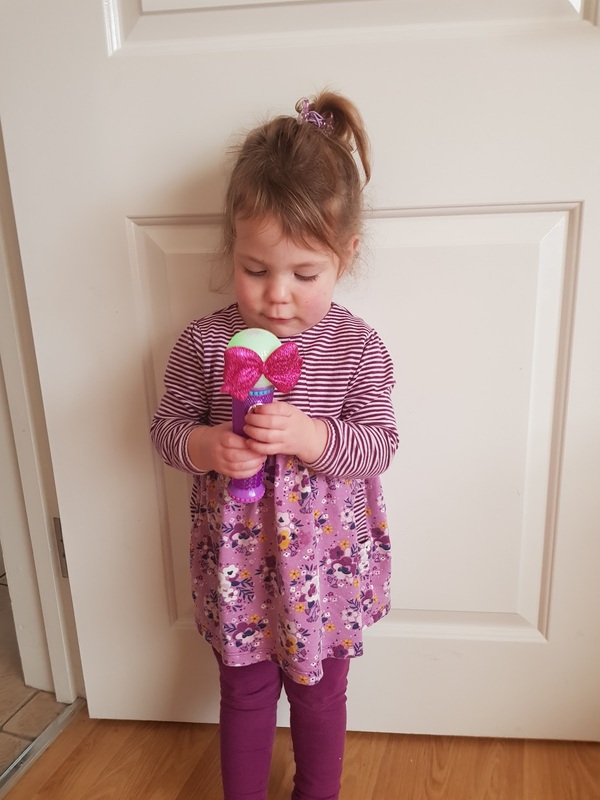 Now Elarna is a bit young to know or be aware of JoJo but that didn't stop her enjoying some of the merchandise on offer to complement JoJo's internationally successful career. 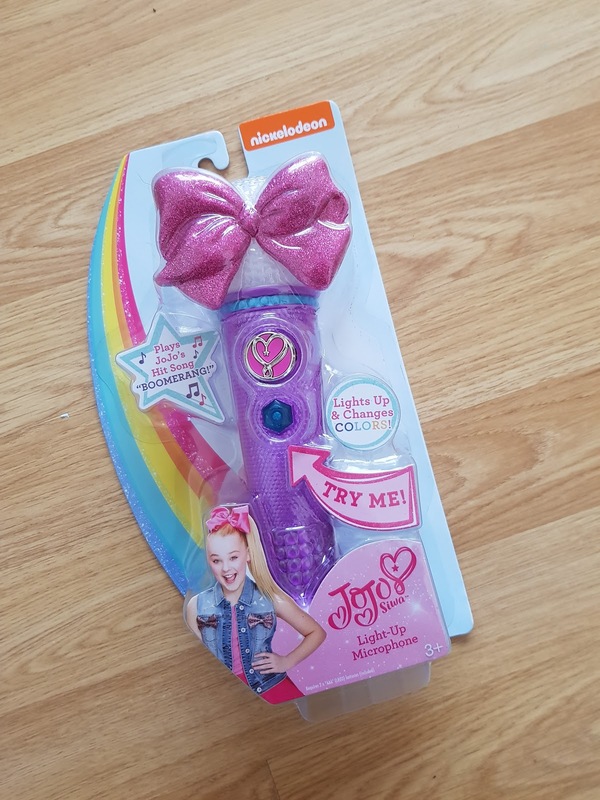 We were sent a JoJo Bowdacious Bow and JoJo microphone to road test and I can tell you now, the microphone has been used so much in the last few days. I could probably recite the song featured (boomerang) word for word. No lie. 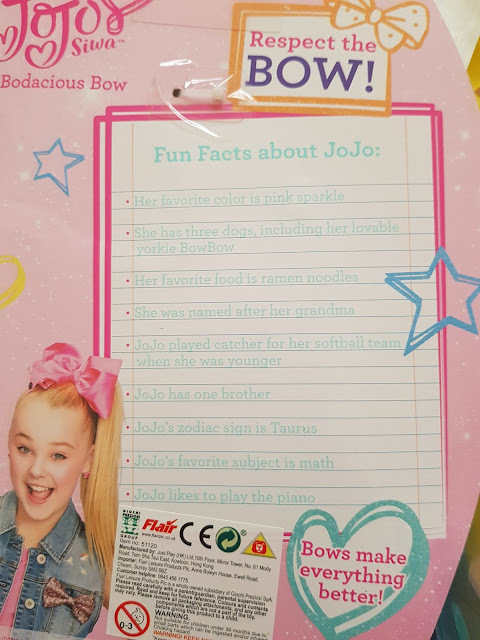 There are also a handful of JoJo phrases that also feature on the microphone, think along the lines of happy messages. 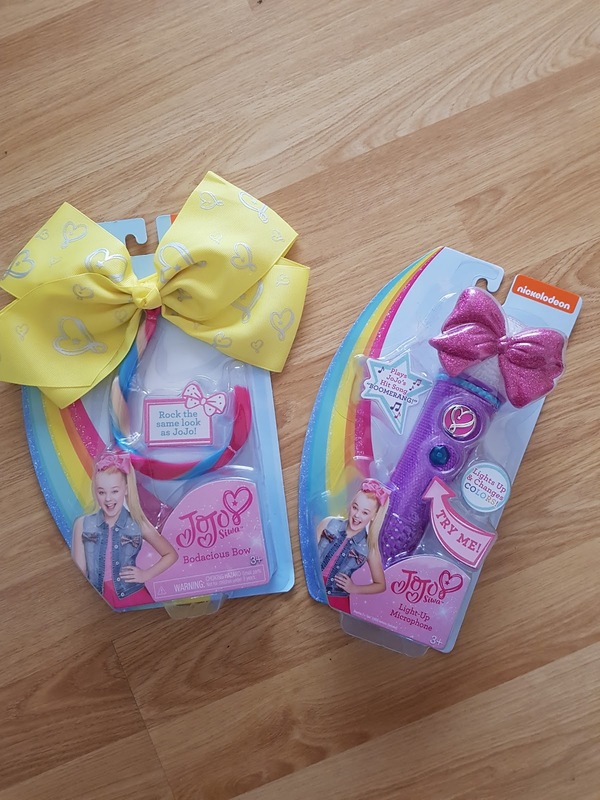 Both items come brightly packaged and totally appealing to my into everything daughter. 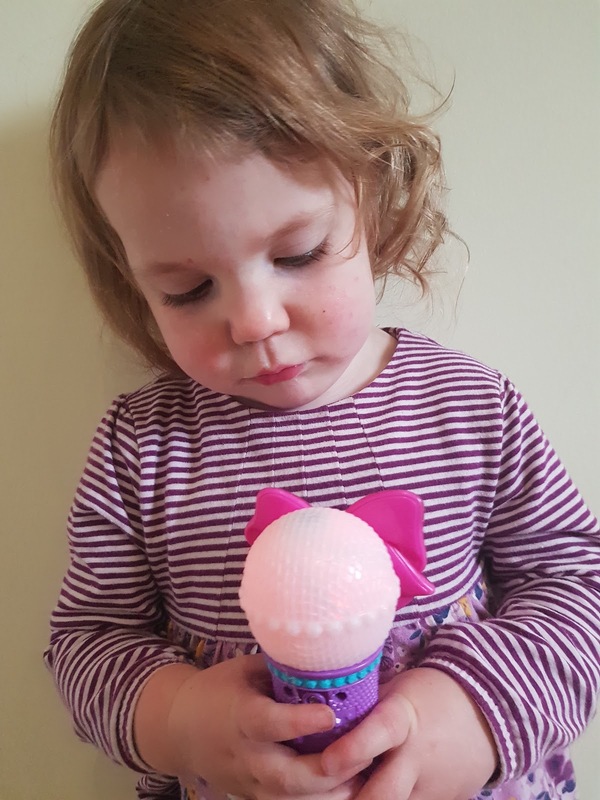 The JoJo microphone (RRP £15.00) is great. With it's cutesy and sparkly design you can see why it appeals. Featuring 3 different modes including the music mode where her hit song Boomerang is blasted out, to a working microphone mode and even MP3 mode (a secret compartment at the back makes it even more exciting!) so you can see there are quite a few possibilities of play with the microphone. 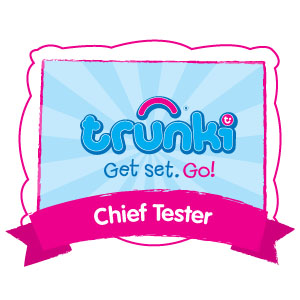 The head of it also lights up and changes colours which is brilliant if you're in a slightly darker room. I actually think this is a really great toy and a must for any JoJo fan, the only thing I will say is that the one and only song that it does play (if not using the MP3 plug) then it can become a little tiresome once you've heard it over and over again! 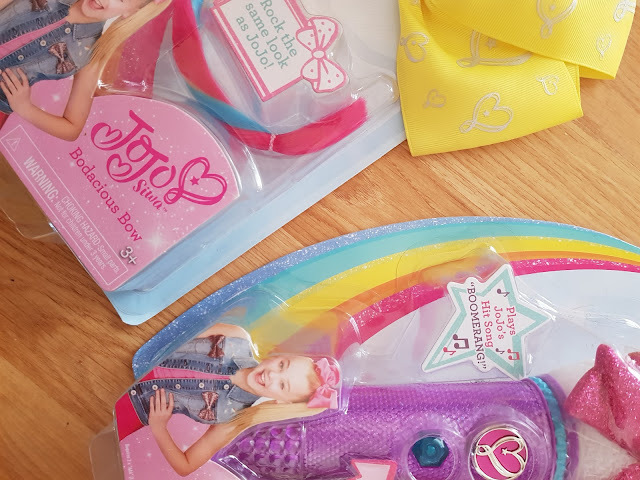 The JoJo Bowdacious bow (RRP £9.99) is pretty big, as I mentioned above you've probably seen lots of girls wandering around with these huge bows in their hair......well now you know what the trend is all about! Designed to be worn by using the attached slide type clip they will really make your JoJo fan feel like they're rocking the JoJo look. These bows also have the added bonus of a bright and funky hair extension attached which is cute. 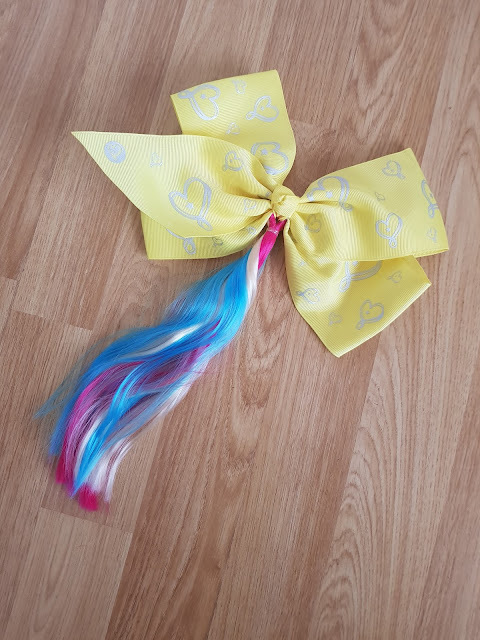 Sadly, Elarna wasn't as keen on this as I thought she might be, it was perhaps a little big for her and her hair is quite fine at the moment so tugged a little on her ponytail but I'm thinking she'll enjoy it more when she's a bit older. There are lots of different types of JoJo bows available so there is plenty of choice. 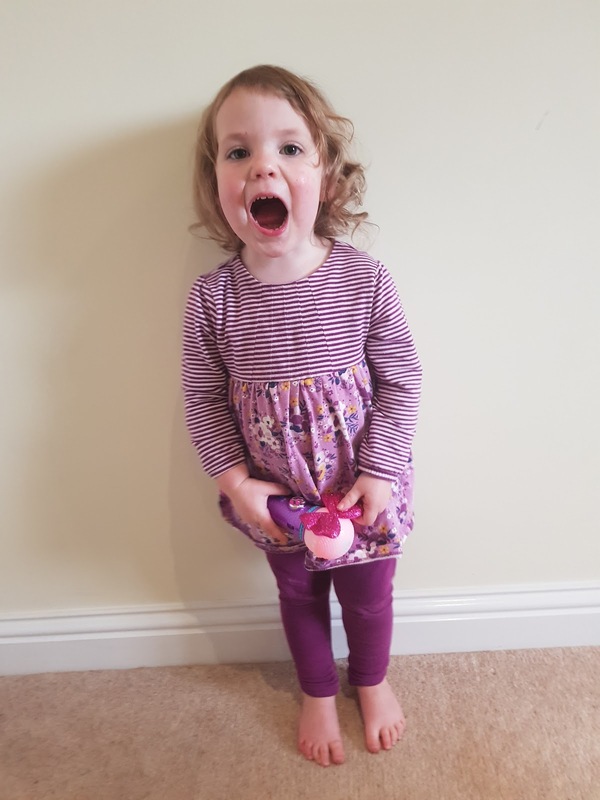 Overall we've loved the JoJo range of items that we were sent to test. They would make brilliant little stocking fillers and I'm certain would provide several hours of amusement. We're yet to try out the MP3 mode of the microphone but I like that this adds another dimension to an otherwise fairly simple toy. A must for any budding singer or You Tube star to perfect their talent! 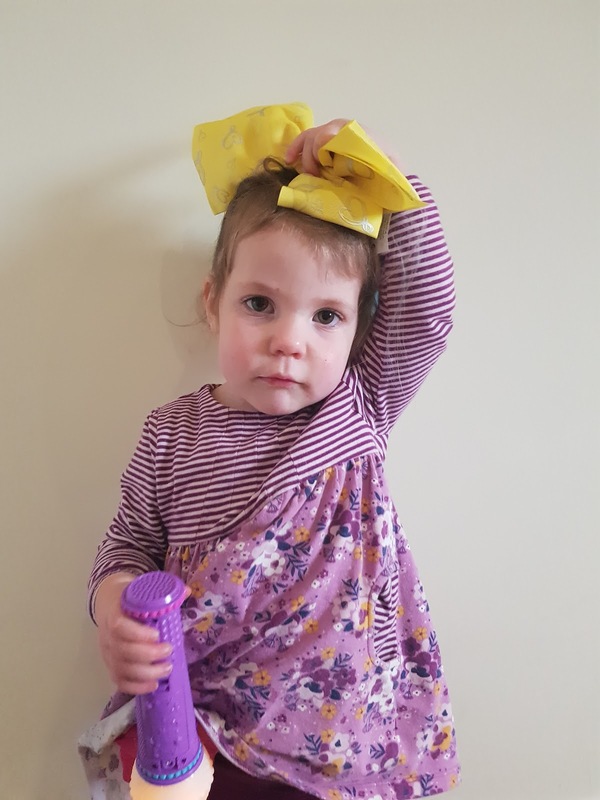 Sadly the picture above is the best I could get of Elarna wearing her JoJo bow, she really wasn't feeling it but as you can see is clinging on to that microphone like her life depends on it! Have you guys heard of JoJo or have any JoJo fans in the house? 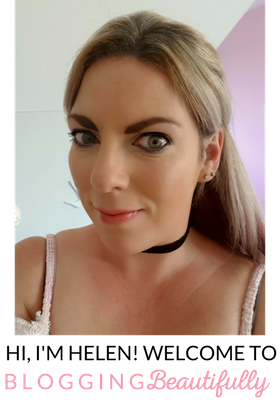 * Please note we were kindly sent the items free of charge in exchange for an honest review, all thoughts and opinions are my own.